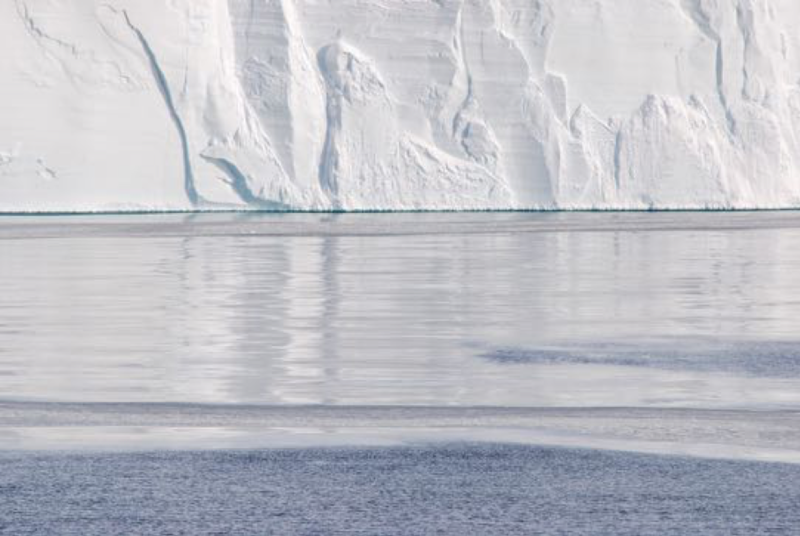 Antarctic Ice Sheet mass balance and, hence, sea level change is affected by the floating extensions of outlet glaciers and ice streams that take up about 44% of the coastline (Drewry et al., 1982) and are referred to as “ice shelves”. Ice sheet mass loss accelerates when these ice shelves lose mass through basal melting at the ice-ocean interface or calving along the ice shelf front. The focus of this dissertation is to explore the uncertainties in basal melt predictions, as affected by ocean temperatures, ocean currents, and model geometries. Uncertainties in tidal currents and the corresponding affect on sub ice shelf basal melt was explored using the Regional Ocean Modeling System (ROMS 3.2), adapted to represent the thermodynamics of ice shelf basal melt at the ice/ocean interface. Plausible representations of present and future sub ice shelf topographies were used to explore potential errors in tidal forcing and ocean circulation beneath the Larsen-C and Filchner-Ronne ice shelves of the Weddell Sea, Antarctica. The influence of thermal forcing and thermodynamic parameterizations was also explored. The results presented here demonstrate that two plausible Larsen-C Ice Shelf (LCIS) topographies could yield shelf-averaged basal melt rates that differ by nearly a factor of two. The difference in these two cases is due to regional variations in tidal currents. The standard grid topography, based on realistic modern bathymetry and ice draft, supported topographic vorticity waves at diurnal frequencies in the northeast LCIS while an alternate model geometry did not. As such, these two grid topographies not only affected the shelf-averaged value of basal melting but also the regional variation in basal melting. Regional variation is important because it determines whether basal melting will have a greater impact on the rate at which ice moves off-shore, as in grounding line melt, or the rate of calving, as in melting along the ice shelf front. Out of all parameterizations, grounding line melt is shown to be largest in a commonly used parameterization that applies a uniform “friction velocity” to estimate basal melting. These model results confirm that both topographic errors and choice of thermodynamic parameterization have a significant influence on the spatial characteristic of basal melt. In a separate study of basal melting of the much larger Filchner-Ronne Ice Shelf (FRIS), simulations shows that a future scenario of warmer ocean conditions may lead to a change in the FRIS cavity shape that strongly affects the map of tidal currents and, hence, regional characteristics of basal melting. In general, the change in FRIS cavity shape due to a warming ocean introduces a negative feedback where increased melting reduces the overall magnitude of tidal currents (by increasing the thickness of the water column) which then results in less basal melting; however, there are large regional variations in these results. In one region, south of Henry Ice Rise, the change in cavity shape reduces basal melting from 5 m a⁻¹ to 1.5 m a⁻¹ due to the corresponding change in tidal forcing. In contrast, basal melting increases from 1 m a⁻¹ to 1.5 m a⁻¹ in the nearby region of the Institute Ice Stream outlet owing to a reduction in the upstream basal melting and, hence, cooling of inflowing water. In summary, uncertainties in cavity geometry have a large impact on the regional characteristics of tidal current predictions and, hence, ice shelf basal melting. These uncertainties introduce significant, regional errors to ice shelf mass balance. Critical processes that influence the evolution of the Antarctic Ice Sheet cannot be accurately represented without the inclusion of small grid spacing (~1 km), accurate topography, and tidal forcing in the predictions of ice shelf basal melt.